Some of you might want to play a game where you can find some unique sets. Or maybe you’re just too bored to see a fantasy world that is far from realistic. Well, we’ll suggest that you’ll have to look towards Russia. Russia has many interesting places and stories to be put in video games. Its historical events, folklore, or even some of their previous works have inspired many developers to create games that set in this country. Now, maybe you’ve just started to think about what game you should play. But you don’t know which one. Well, wonder no more. These are the 5 best video games set in Russia! Originally developed by a Ukrainian game company, this game takes place in the post-apocalyptic world of Moscow. You play as Artyom Chyornyj, a survivor of a nuclear disaster that has wiped out the city. You and the other residents of the city are driven to live in the massive networks of Metro underground railway. While scratching for a living in the deep tunnel, you have to fight off mutants, hallucinations of dark beings, Commies, Neo-Nazis, and many more. Maybe, you’re wondering how the Metro stations can withstand a nuclear impact and could provide shelters for the city dwellers. Here are some hidden facts about the Metro stations in Moscow. This game has an in-depth story and physics about how is life in a post-apocalyptic world. Using gas masks to breathe in the surface world, bullets as currency, and playing cat and mouse with dangerous creatures, it cannot get more realistic than this. This year, the developer 4A Games has just released its newest game installment, Metro Exodus. This installment has been long anticipated by fans worldwide, and when it came out, they’re going bananas. 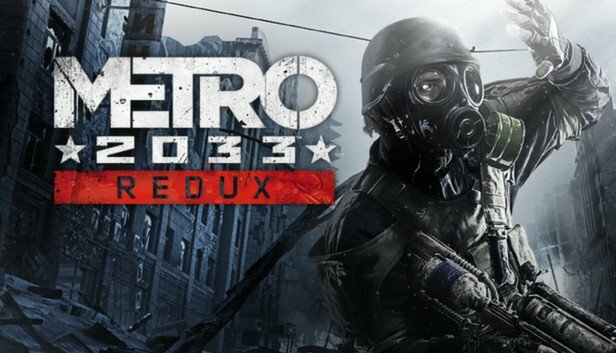 What’s new from this new installment is that your gameplay is no longer limited in a tight environment of Metro underground, but instead, you are about to flee from the Metro and explore the vast Russian Far East region. Together with a band of Spartan Rangers, you set foot on a journey across the Ural, bracing the unforgiving nuclear winter while experiencing the beauty of Russian wilderness. The Dyatlov Pass incident is one of the most mysterious things that happen around the Urals. The incident occurred in February 1959, where nine out of ten hikers are found dead near the summit of Kholat Syakhl (death mountain). There are no clear conclusions about this tragedy. Some say that it was caused by a strange creature (or alien) that lurks in the mountain and some say it was caused by a secret USSR scientific experiments. But whatever it is, their chance of survival could increase if they wear some of these stylish accessories. From that incident, a Polish game developer made a horror-survival game that would make you feel the horror in the mountains. This game will put your foresight and nerve to the test. This game was so scary, even the sound of the wind will scare the hell out of you. You are tasked to find the investigation reports about the missing hikers. You have to be keen to find any clues, but also you have to be quick. The elements and the strange shadow creatures will not make your task easy, and they will take you down on any chance. This game is a World War 2 aerial combat simulator game, developed by a Russian developer, 1C Company. Here you can play both as the Germans or the Soviet forces in the battle for control over the city of Stalingrad. There are numerous aircraft models made by both factions that you can use. Fighters, bombers, interceptors, all of them are free for you to use and experiments with. Just like other flight simulator games, you have to understand every buttons and lever that you will found inside your cockpits. Mastering them can be a quite difficult challenge, but it won’t take very long if you are familiar with these kinds of game. It is highly suggested to use a joystick because controlling the plane with a keyboard is quite tricky. From the flying the warplane, now we are going to jump into the seat of a truck. Soviet-era trucks. In this game, instead of driving in a fast lane road, you will bring your truck crossing forests, swamplands, lakes, and rivers. The are plenty of objectives for you to pick. The most common missions are bringing loads from one point to another. But don’t let your objectives limits your freedom. You see, you can go wherever you want in this game. It is fun to drive and doing stupid things until your truck gets destroyed. This game is one of three parts from the Assassin’s Creed Chronicles series. In this game, you play as Nikolai Orelov, a member of Russian Assassin Brotherhood. This man is no joke, he was involved in big incidents in Russia, like the Borki train disaster and Tunguska explosion. The game sets during the aftermath of the October Revolution, right after the Bolsheviks have overthrown the Russian aristocracy. As Nikolai, you are tasked to steal an artifact from the Bolsheviks that has been fought over by the Assassins Brotherhood and the Order of Templar. Unlike any other Assassin’s Creed games, this game applies side-scrolling mechanics where your characters can only move horizontally. Even though this game lacks open-world elements, what makes this game stands out is the depth of its story, and you can run it on a low-end PC. It seems that Russia offers some perfect sets for post-apocalyptic-themed games. After the Metro series, there are some other games that represent the world after a worldwide nuclear holocaust like ATOM RPG. In 1986, the USSR and the Western Bloc were obliterated after they throwing nukes at each other. As one of the survivors of the nuclear disaster, you will fight and explore the devastated wasteland of the Soviet Union, while investigating the conspiracy behind a plan to wipe out humanity for good. This game provides you with non-linear stories where your end-game is determined by your choice. There are dozens of quests for you to do and it will take hours of gameplay to complete it all. As the game starts, you will create your own character with a good character creation tool provided by the devs. Grow your character’s skills while exploring the huge wasteland, encountering random survivors and monsters in many places. See how the world rebuilt itself from the ashes of the old world. Well, friends, we hope that you will enjoy the 5 best video games set in Russia. Go, give them a spin. You will not be disappointed. In case you’re hungry for more Russian-themed games, go check these “top 5 video games set in the Soviet Union” and “6 best video games made by Russian developers“.